This 2007 photo shows Somerset County Cpl. Sheriff Eugene Cole , who was killed early Wednesday, April 25, 2018, in Norridgewock, Maine. 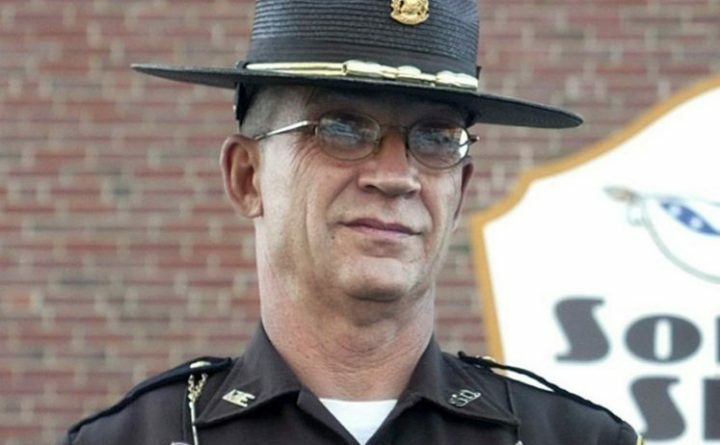 NORRIDGEWOCK, Maine — Officials in a Maine town are asking the state Legislature to rename a bridge in honor of a slain sheriff’s deputy. The Norridgewock Board of Selectman approved the measure to rename the Norridgewock Bridge to the Corporal Eugene Cole Memorial Bridge in a 4-0 vote Wednesday night. WGME-TV reports Republican Rep. Brad Farrin submitted a bill to rename the bridge. He says it will be addressed soon if lawmakers return for a special session. Cole was killed April 25 in Norridgewock in a late-night encounter with a man who was worried about going to prison for a gun charge in Massachusetts. John Williams is being held in connection with Cole’s death. Norridgewock has declared April 25 to be Corporal Eugene Cole Day.